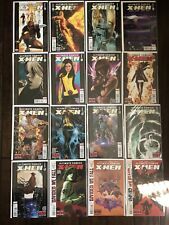 ULTIMATE COMICS X-MEN (2011) #10-19,20,21,22,23,24,25,26,27,28,29,30,31,32,33!! Deadpool #18,19,20,21 Lot 1 Run of 4 VF to NM Beauties 1st Series Ajax X-men! This page was last updated: 24-Apr 09:34. Number of bids and bid amounts may be slightly out of date. See each listing for international shipping options and costs.